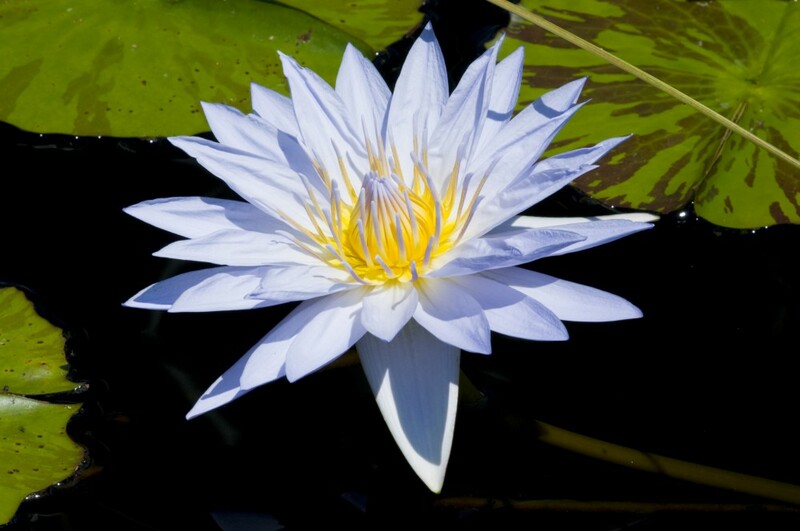 It’s a warm summer evening, and you’re at the Chicago Botanic Garden with someone special. The food’s been great, and the music sounds terrific…time to grab his/her hand and head out for a romantic stroll. Dance outdoors on weeknights! Enjoy swing, Latin jazz, samba, bluegrass, big band, country, rock ’n’ roll, and salsa. For the complete lineup of music on summer evenings, click here. Be guided by the GardenGuide app. 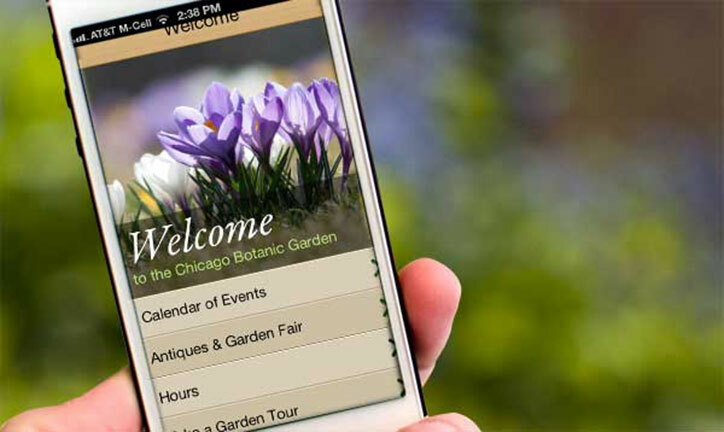 Think of it as a personal docent: access our Garden app for fun/interesting tours around the grounds. Stop and smell the roses. In between the entrance to the Krasberg Rose Garden and the Linden Allée is a tiny terrace, tucked behind a hedge. The chairs there are perfect for taking in the scent of the thousands of roses in summer bloom. Where light dances on water. In summer, the bridges to Evening Island—the Arch Bridge, the Serpentine Bridge—are lit at night. You can spend hours watching the reflections in the water. Around the council rings. On Monday nights, the Carillon Concerts sound incredible from either of the council rings on Evening Island. Pack a picnic to eat at the Nautilus terrace, then head up either hill, and enjoy the sound. Get there before 6 p.m. While the Regenstein Fruit & Vegetable Garden stays open just until 6 p.m., it’s worth the early walk to sit out at the grape arbor’s overlook and take in the fountain view back toward the Esplanade. The pre-sunset prairie. Long summer evenings mean long summer walks: out in Dixon Prairie, the plants grow taller than your head late in the season, and the light filters through the grasses as the sun lowers in the sky. Have you discovered the Kleinman Family Cove yet? We think the Cove is one of the prettiest places at the Garden in the evening—perfect for listening to the natural chorus of frogs, birds, and insects. A view to the east. Turn left at the top of the Dwarf Conifer Garden stairs and head up the path—the bench at the crest has a stunning view of the Elizabeth Hubert Malott Japanese Garden. Where white flowers bloom. McGinley Pavilion is always planted with wedding-appropriate white flowers—beautiful and fragrant in the evening, and a lovely spot to sit near the water. The Pergola Garden at the English Walled Garden. Bubbling fountains, hanging wisteria, and a bench that’s painted the quintessential blue…perfect place for a selfie of the two of you.